President Yoweri Museveni alluded to harmful politicians particularly, Kyadondo East MP, Robert Kyagulanyi alias Bobi Wine, as the cause of Uganda’s slow economic progress. Museveni made the remarks in one of his weekend statements in which he cautioned Ugandans not to attack investors who bring money to Uganda. “These parasites, these pigs have been sending threatening letters and recorded messages to steal money from these investors or to even frighten them so that they run away,”Museveni wrote. 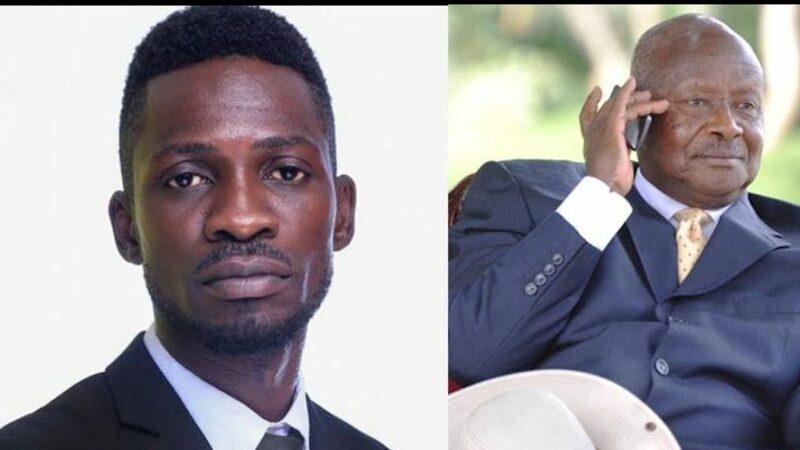 While addressing the media this morning, Bobi Wine said that he has learnt over time that Museveni was a chronic liar who needs to be judged on his actions rather than his words. “Museveni has mastered the art of deceit. Don’t listen to his words or what he writes, you just watch his actions. That’s the real Museveni,” the Kyadondo East MP, Robert Kyagulanyi aka Bobi Wine said.